Do your small groups make a difference in the world? Or have they existed so long they are very inward focused? Do they give themselves away, or simply demand more spiritual food from the gifted leader? What can you do to move a small group from self-feeding to selfless service? The way it goes is a couple in our church noticed that there were homeless people living in the woods in Marietta. They took their discovery to their small group, and began talking and praying about what to do. 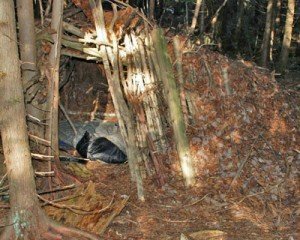 I went out with them and discovered for myself that there were men and women living in tents and under tarps in one of the richest counties in Georgia. That small group started feeding the homeless breakfast every Sunday. And the cool thing is that they invited them to church. This act slowly started changing our church. These men and women would also come be with us on Wednesday nights. And they were invited to go with the church family on a church family retreat we would take every spring. It was at one of these retreats that one of the homeless mean experienced a life-change in Christ. He is now in his own apartment and works at the church. He is also ministering to the homeless in the woods. He’s become part of that small group and is a big part of the mission of that church. As I heard this story, I got excited about some of the missional elements in it. 1. Small group looking for a mission. Most churches have small groups of some kind, even if it’s not a formal structure. I consulted with a church this week that has had small groups, some of which have lasted 20 years and are pretty fixed in their studies. A few weeks ago, I consulted with a church that didn’t have small groups, but they had Wednesday night suppers with the same people who sat at the same table. What if that table groups in that church looked for a mission to accomplish and then were empowered to do something about it? What if those small groups were required to take on a mission to accomplish instead of simply feeding the sheep? In that latter church, the pastor imposed such a requirement upon the leaders of the small groups. Sure, some protested, but they were so inward focused that they needed to be challenged. What is the need that motivates your group to action? Every community has needs. I live in a city of 1.5 million people. There is a lot of need. You might live in a city of 63,000 or a community of 8,000, or a subdivision of 5 homes. How do you know when you found the need? The situation broke his heart. It drove him to prayer. What is the need that makes you “sit down and weep?” What then drives you to prayer? feel the frustration that nothing is happening? Vision to act is born out of such frustration. This small group in this pastor’s story felt the need and that motivated them to fix it. What is the need that breaks your heart? What is the need the breaks the heart of your small group? What is the need that breaks the heart of your church? 3. A pastor who empowered them. They took their pastor out to the homeless city. He saw it. He felt the need. Then he turned them loose. He empowered them to do something about it. He equipped them to make a difference. 4. A church that welcomed new church visitors. This was a key for the impact of this small group — a church that exhibited effective hospitality and the enjoyed the presence of “those” people. We all know “those” people. The illegal aliens who are taking over the apartment complex. Or whomever is not like us. . . . . Some churches are not healthy enough to welcome the stranger, the broken, the poor. Yet this missional small group had a healthy church that supported their work and collectively ministered to these new people in their midst. It took the church family to make the impact. 5. Adoption into the family. Relational connections were built. They were adopted into this church family over time. These new friends were not only welcomed into the services, but then onto the family retreats. He is now in his own apartment and works at the church. He is also ministering to the homeless in the woods. He’s become part of that small group and is a big part of the mission of that church. This small group saw the need. This small group felt the pain. This small group made an impact. This small group has made a new disciple in Christ is who is now living in obedient service in the world. What difference in the world do your small groups make? How can you help your small group make a difference in the world?